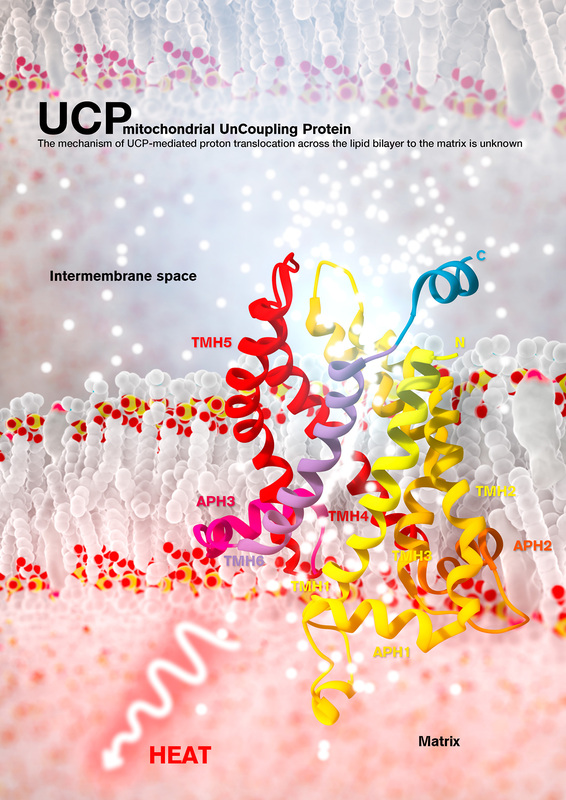 Mitochondrial uncoupling protein 2 (UCP2) is an integral membrane protein in the mitochondrial anion carrier protein family, the members of which facilitate the transport of small molecules across the mitochondrial inner membrane. When the mitochondrial respiratory complex pumps protons from the mitochondrial matrix to the intermembrane space, it builds up an electrochemical potential. A fraction of this electrochemical potential is dissipated as heat, in a process involving leakage of protons back to the matrix. This leakage, or ‘uncoupling’ of the proton electrochemical potential, is mediated primarily by uncoupling proteins.